As usual Chatsworth was a delight at Christmas time and this year the theme was Charles Dickens – so wonderful for me, as a writer. The picture above isn’t our Christmas dinner at the Big House … look closely and you’ll see the cobwebs over a wedding feast. Yes, it’s Great Expectations, and Miss Haversham was there to greet us! … and we loved Fagin, and the London Christmas of Oliver Twist…. It was all simply charming. But the day was truly icy as we wandered round the gardens, remembering the many days we’ve spent walking there in summer, along the river and across the parkland, but what a lovely walk it was, despite noses and mouths freezing. It was a fantastic start to the Christmas period and we look forward to next year’s theme. Two lovely books I’ve just been reading, from author friends of mine: The Summer of Impossible Things by Rowan Coleman and Together by Julie Cohen, both fellow members of the RNA. I highly recommend both of them. Rowan’s is an amazing time bending concept which left me thinking long after I finished it, and Julie’s is an intriguing relationship drama with quite a ‘gasp’ moment at the end. Now I’m reading Sweet Little Lies by Caz Frear, a fascinating and well written debut novel – a police procedural (love those!) with an interesting and empathetic main protagonist. Three books for dark winter evenings! Look out Great British Bake Off – TOR rising up the book charts on Amazon! I’m thrilled that today I discovered that The Old Rectory is at #2 in the entire paid-for kindle sales in Canada and at #24 in the entire paid-for kindle sales in Australia! In the UK it’s #1 in the Food & Drink UK category, beating the Great British Bake Off, Mary Berry and Nadiya Hussain. The Old Rectory: escape to a country kitchen has officially been awarded the ‘Best Seller’ badge! 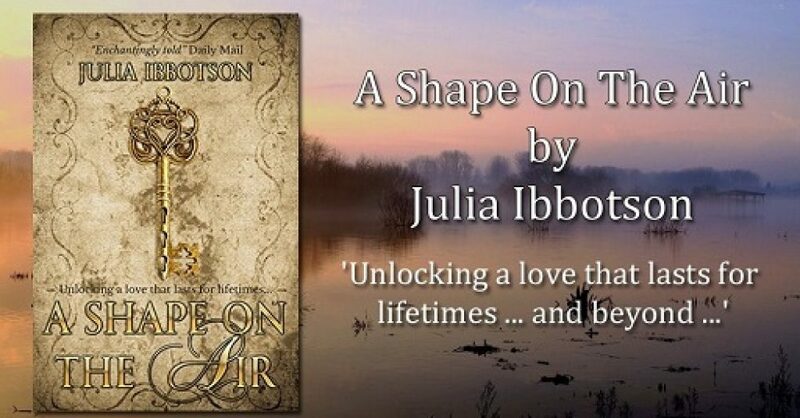 A Shape on the Air has also reached #5 on Amazon so I’m pretty delighted!